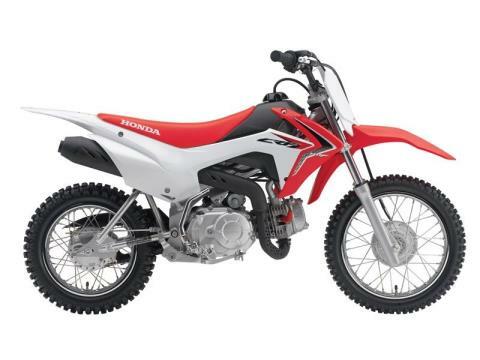 About the same size as our CRF®70F, the CRF®110F offers a bigger 110 cc air-cooled engine that’s just as reliable and built to deliver the kind of power your young Red Rider needs. In addition, the CRF110F features both an effortless electric starter and a kick starter as well. 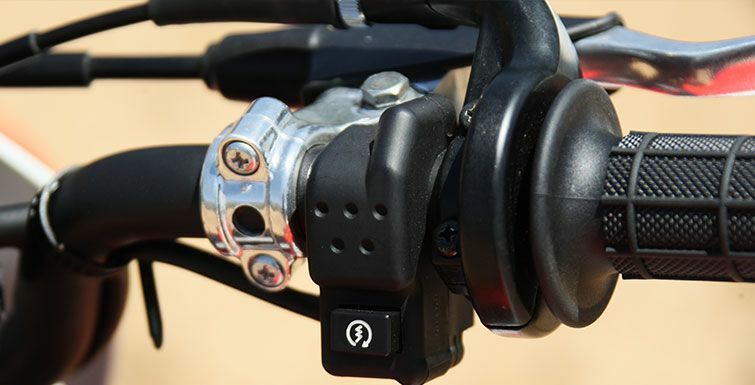 And it all teams up with our four-speed transmission with automatic clutch that’s been proven in thousands of bikes, so your riders never have to worry about stalling or a handlebar-mounted clutch. 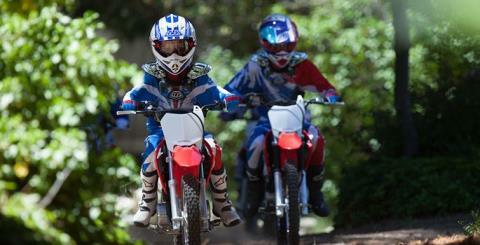 The CRF110F is a great off-road fun bike that your kids are going to love. And, better than that, they’re going to remember all the fun they had riding it—and with you—for the rest of their lives. Set the top speed by turning a screw. That helps keep new riders from going too fast, too soon, and lets you match the CRF110F's power output to the rider's skill level. 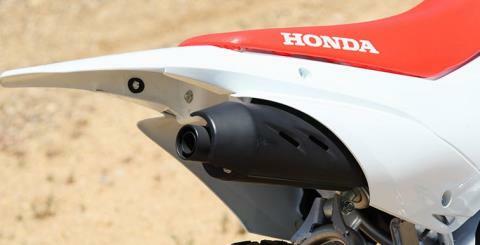 Even if the bike’s been sitting all winter, you still can get going with the CRF110F’s kickstarter. 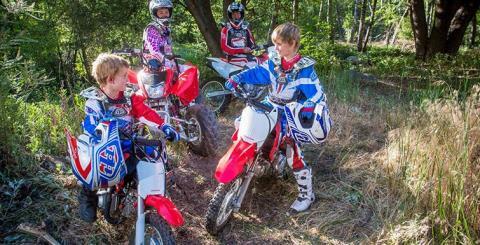 It’s easy for you to use, and it helps insure that your day of fun doesn’t stop. Push a button and go—that's how easy it is to get going on a CRF110F. Starts after a tip-over are a snap. And the push button means no frustration if junior accidentally stops the engine. The CRF110F includes an effortless electric starter. We’ve even included a backup kickstarter, so getting underway is a cinch, even if the battery charge gets low. You decide who rides and when because you hold the keys. Got your homework done? Good—let's ride! It’s important to have a bike that’s sized right for your rider. The CRF110F’s low seat height helps build confidence right from the start. It’s seat height fits nicely between the CRF50F and CRF80F. 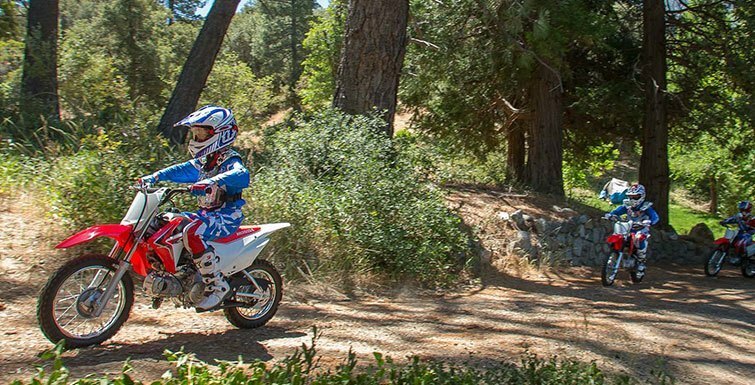 The CRF110F’s new 110cc engine offers a generous, wide powerband without revving too high—perfect for young riders to learn on. 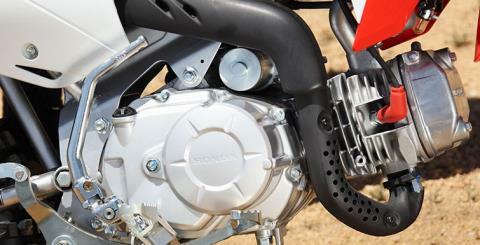 Plus, the CRF110F offers a throttle limiter to allow parents to choose the appropriate amount of available power. 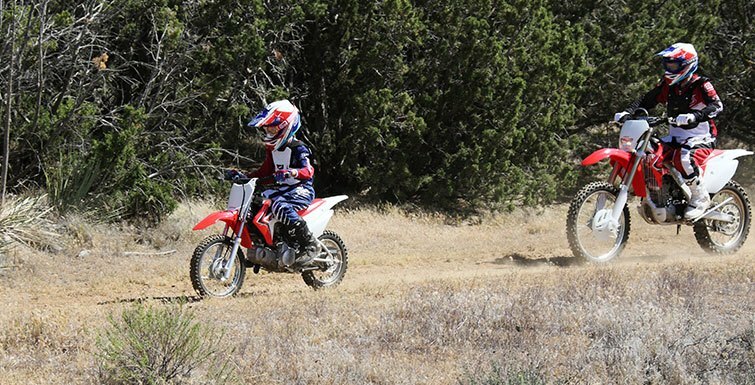 Less experienced riders are hard on equipment, especially when they’re just starting out. 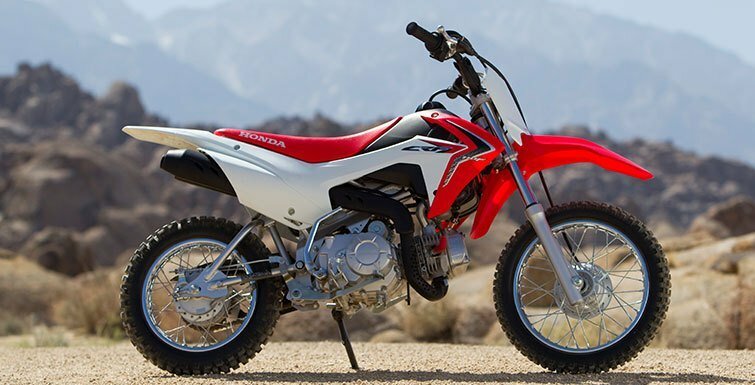 That’s why the CRF110F uses a strong, steel frame that’s built to handle the bumps and dings of off-road riding. 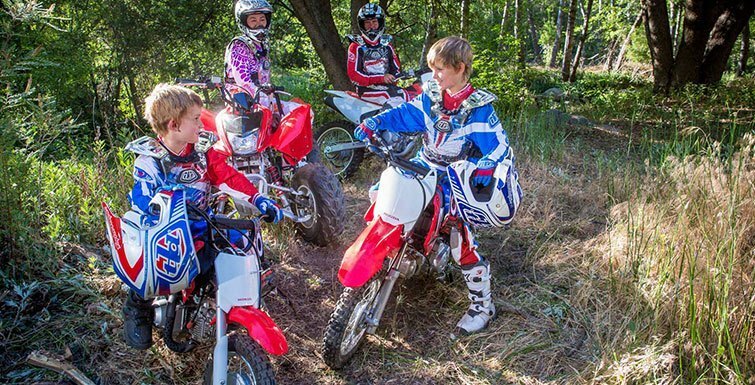 Kids can be tough on equipment, and taking a spill is a natural part of learning. 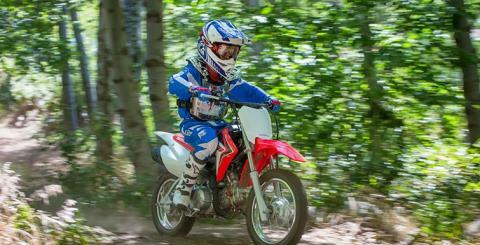 But the new CRF110F can handle it. 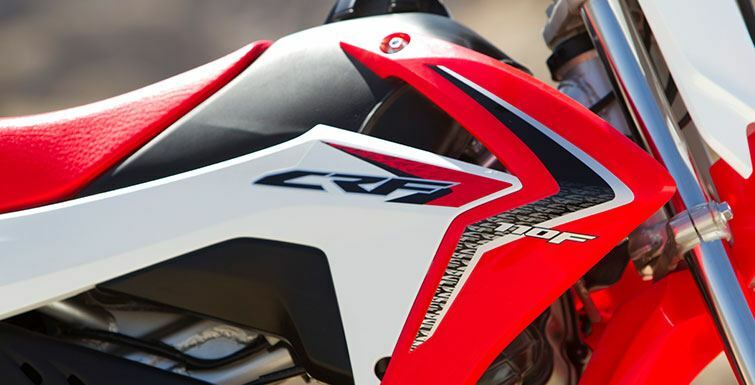 With tough plastic fenders, tank, and other body parts, the CRF110F is engineered to shrug off the minor dings of the real world.